All in all, there were not many surprises here for the most part which is both a good and a bad thing. 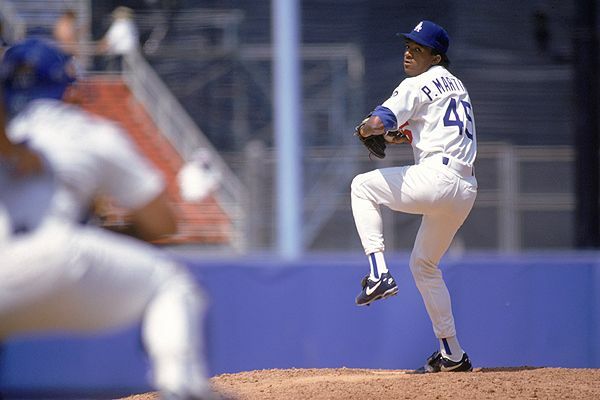 Johnson and Martinez are both two of the finest pitchers of all time and both excelled during one of the worst eras for pitchers; they were locks to get in on their first tries on the ballot and nobody will have any qualms with either. Smoltz was also making his debut on the ballot and he seemed like a sure bet to get in this year as well but I was not quite certain as to why. There is no doubt in my mind that he is a Hall-caliber guy but I don't see as to why he was such a lock to get in while guys like Curt Schilling and Mike Mussina, who all have similar numbers to Smoltz, are not all that close (Schilling jumped from 29.2% to 39.2% while Mussina went from 20.3% to 24.6%). Biggio was not on my ballot but that was not because I did not view him as worthy, it was instead because of the arbitrary ten-ballot maximum. I believe that Biggio is worthy of getting to the Hall and I am happy that he did get in this year after two close calls in a row. But one thing from this year's ballot that did not surprise me that just about infuriates me is how once again, Mike Piazza came up just short. What makes this pretty disgraceful, and showcases much of what is wrong with this process, is that the trepidation of voters to vote in Piazza is not based on his resume (he is the best hitting catcher of all time) but rather suspicions, whispers and rumblings that he used performance-enhancing drugs. But as we all know, there never has been any actual evidence that Piazza used as he never tested positive and he was not named in the Mitchell Report or in any other report of that manner. Given that he did make a nice jump this year and with only one true lock coming on the ballot next year in Ken Griffey, Jr., Piazza will get in next year but that does not nearly make up for the fact that Piazza should have gotten in the first time he was on the ballot in 2013. Jeff Bagwell is in a similar situation to Piazza, albeit to a lesser degree, in that his candidacy has been hurt from whispers, rumors and the like despite the actual known facts. Bagwell is a Hall of Famer but he has already had to wait five years and he made minimal gains this year (55.7%) from last year (54.3%). Tim Raines has some reason for optimism going forward as he reached a high of 55% of ballots in his eighth year on the ballot but with the rule changes made last year to keep somebody on the ballot for 10 years instead of 15, he could have too much ground to make up. However, the writers have also asked to expand the ballot from 10 to 12 so that could potentially help him get in as well. When reacting to last year's vote, I said that I thought that Barry Bonds and Roger Clemens, who both dipped in the voting, will eventually get in. But with the aforementioned shorter time on the ballot cut by five years, neither of them are going to get in in all likelihood. The two only made minimal gains as they both got four more votes this year than last year. Of course, I would absolutely vote for both but with this current system in place, they will never get to Cooperstown.